its ongoing project of improving, updating, and giving contemporary new designs to its popularEasy Waybooks, now re-namedBarron’s E-Z Series.The new cover designs reflect the books’ brand-new page layouts, which feature extensive two-color treatment, a fresh, modern typeface, and many more graphics. 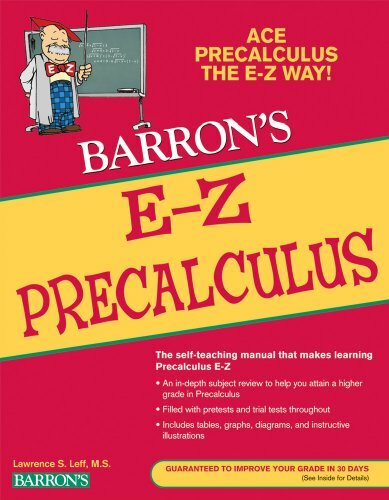 In addition to charts, graphs, and diagrams, the graphic features include instructive line illustrations, and where appropriate, amusing cartoons.Barron’s E-Zbooks are self-teaching manuals designed to improve students’ grades in many academic and practical subjects. In most cases, the skill level ranges between senior high school and college-101 standards. In addition to their self-teaching value, these books are also widely used as textbooks or textbook supplements in classroom settings.E-Zbooks review their subjects in detail and feature short quizzes and longer tests to help students gauge their learning progress. All exercises and tests come with answers. Subject heads and key phrases are set in a second color as an easy reference aid.